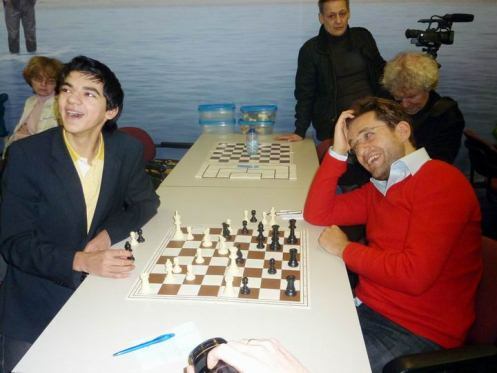 Vasiliev was reporting from Wijk-aan-Zee for Sport Express and ChessPro. Below I’ve translated some of the highlights, mainly from the final reports, but I’m only scratching the surface. For more it’s worth clicking on the links (I’ve also included links to Google-translated versions), especially as the photographs are at least half of the appeal of the ChessPro reports. All the photos in this article are taken from there. You won six games, which reminds me of Kasparov’s results when he played here. Which of the games you won gave you the most satisfaction? Thanks for the comparison with Kasparov – it’s very flattering. As for the games I won, the best in terms of preparation was against Smeets. I really liked the game against Shirov, although I made a few inaccuracies. 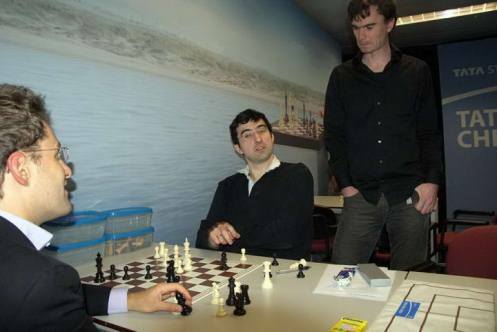 I covered this tournament last year and noticed that you arrived for your game against Kramnik in a suit and tie, while this time round you had the same pullover you wore for the other games. Does that mean you’ve started to respect Vladimir less? (Laughs) No, my relationship with Kramnik hasn’t changed. This time I didn’t wear the formal suit and tie because I assumed there’d be a short draw. Did you choose the Berlin especially in order to get an almost precise copy of the game Smeets-Kramnik, which went on one move longer than your 20-move game? 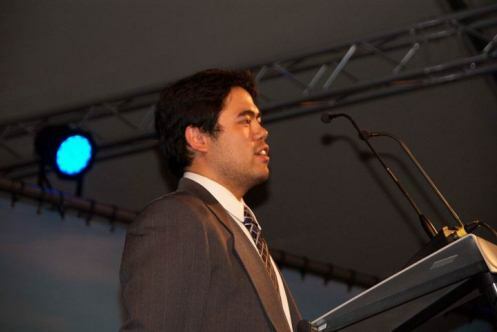 The final quote from Nakamura is that he now knows he can compete successfully against any chess player. I approached this tournament mainly as a training exercise and I managed to do a lot of the things I wanted to here. Before the tournament I set myself a main goal: to play solidly and calmly. It didn’t enter into my plans to be overly revealing in the openings, so I had to keep some things for myself. A really stupid loss to Carlsen in the final stages meant my result ended up being average, though it could simply have been good. If it wasn’t for the two “cloned” 20-move draws – with Black – against Smeets and Nakamura, the result, perhaps, might also have been better? If White wants to drain the life out of the position and make a draw then he can. In tournaments at this level such draws are on the conscience of the player with White, so any complaints should be directed at my opponents. I was amazed they went for play like that, but unfortunately there’s no way of deviating in that line. It’s hard to play a tournament like this if you don’t have an element of luck. I can’t recall a single situation in which I got lucky, though I do recall some extremely annoying blunders which prevented me from posting a better result. If I’d been a little more solid I could have fought for the top-3, but the two losses in a row got in the way. Against Nakamura I tried to make a real game of it, but didn’t succeed. Against Vachier-Lagrave I turned an equal position into a lost one, imperceptibly, in the space of about two moves… But among the positives I’d include the fact that I managed to get priceless experience of playing the world’s best chess players. If you mix five barrels of crap with two barrels of jam, you still end up with seven barrels of crap. 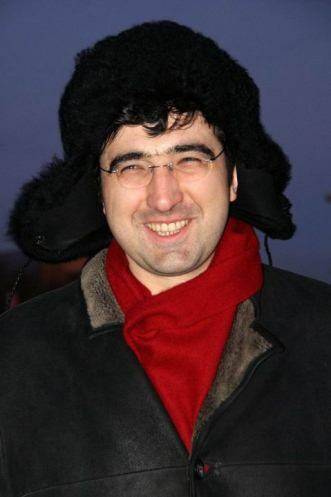 I took the opportunity to get Kramnik to clarify a question which had provoked a lot of argument on our forum – who offered the draw in the game against Carlsen. It turned out to be White, after 17. Qxa5. “And before that?” – “Before that I was better, so why would I offer a draw? !” Vladimir confirmed the guess of his rival and our commentator: in the line 19. Nxd7 he hadn’t noticed the extremely crafty 19…Bb7! But more than anything else he was upset that he hadn’t drawn a “completely drawn ending”. 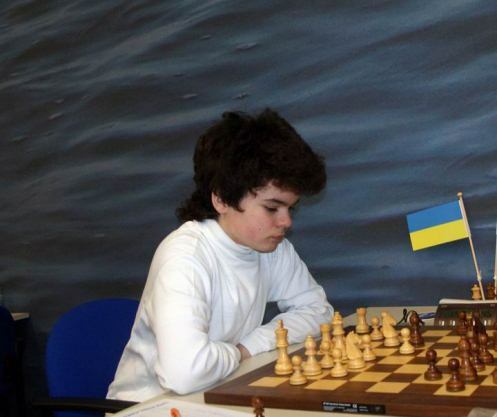 The following is a brief account of Vasiliev’s three earlier reports for ChessPro – note that he arrived in Wijk-aan-Zee in time for the fifth round. The “kid” in question is Magnus Carlsen (that’s actually quite a long story) and Vasiliev’s first report has some great photos of the players all at sea in the newly-decorated venue. One sequence there is of Kramnik and Aronian’s post-mortem after their draw in round 5. According to the captions Kramnik is saying Aronian as Black has to try and escape with a draw, while the ever-optimistic Aronian claims he has the winning chances. Loek van Wely is called upon to declare that a draw was a fair result. Alexei Shirov had this to say after his remarkable game against Nepomniachtchi, where the players rapidly got an endgame where Black’s fortress holds despite the bemusement of the chess engines. How far did your analysis go? Until perpetual check. Usually when you analyse with Black you stop when you have a draw, hoping that you’ll work it out at the board. I studied it at the board and saw that I had the 25…Nb2 resource, and in general it’s dangerous for White… I’m not sure that Black’s simply winning, but it’s very hard to play as White when there are so many threats… He was already short on time and it seems he didn’t calculate 26. exd5 fully as my king escapes… And it seems – tempo by tempo – that he can’t hold. In such positions it’s important to calculate one clear path. It’s longer, but I’d calculated it to the end. I’m happy I managed to use some preparation and win a beautiful game. We invited Anand and Topalov before the start of the World Championship Match in Sofia. The result wasn’t yet known so we offered them identical conditions. Anand agreed immediately, while Topalov’s manager Danailov said: “No”. He wanted better conditions. Then the match took place and we didn’t come to an agreement with Topalov’s manager. I’d also recommend the excellent English interview with van den Berg by Alina L’Ami (and her website as a whole!). Back in Vasiliev’s report you can find some wonderful photos of Nakamura and Kramnik modelling interesting headgear… and there’s also a photo of the remarkable crowd waiting to see Carlsen lose to Nepomniachtchi in round 10. “Nepo” said of the position where Carlsen refused a repetition: “White there, if you’re talking about playing for a win, has nothing good…”. His second, Vladimir Potkin, revealed: “We guessed right with the opening – the only variation we looked at BEFORE [the game], appeared IN [it]”. “Are you happy, Levon?” I asked Aronian during some lively analysis of the game he played with Giri. “Why should I be happy?” Levon asked, not raising his head from the board. “Well, after all the computer shows that you were “worse” all the time”. “If I was playing a computer, then I’d be happy”, Levon replied. A large part of Vasiliev’s third report for ChessPro was taken over by an interview with the Russian Grandmaster Vladimir Chuchelov, now living in Belgium and coaching Anish Giri and the Dutch team as a whole. He also used to coach Loek van Wely, who is currently taking a “time-out” from chess. He’s very pleasant to work with. Anish has an excellent sense of humour, which is very important for a chess player, as the work’s very hard. He grasps jokes immediately, and we laugh a lot during our training, while still working productively. We’ve managed to find a lot of interesting things during our sessions. In the game there weren’t any points at which Anish needed to do anything special. Well, except that he needed to believe that Carlsen had really blundered a piece… But I really liked the fact that Giri’s doubts didn’t last long. Vasiliev: "You can see how Genna is observing Tania's play"
The rest of the report is mainly given over to photos. You can see Giri’s mother and two sisters, some of the female participants at Wijk aan Zee, and Anand receiving the New in Chess award for the Novelty of the Year for his 10. Na3 against Topalov in the fourth game of their match (one of Anand’s seconds, Radosław Wojtaszek, described that move in his annotations to the games). Ilya! 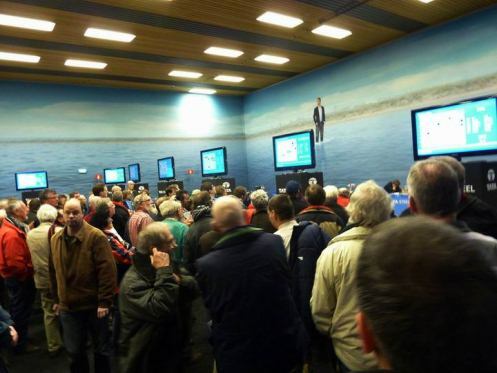 Congratulations on your successful perfomance in Wijk-aan-Zee. My question is: You’re much more popular as a chess player in Europe than in Ukraine. Have you thought of changing where you live? And which country do you like most? Ilya Nyzhnyk: I can’t change where I live myself – I’m still too small for that. I live where my parents live. As for the country… I’ve liked absolutely all of the countries I’ve played in. […] Ilya, have you thought of switching to the Russian Federation as Sergey Karjakin did? You’d have a much better chance of becoming a super-grandmaster! Ilya Nyzhnyk: For now I can’t switch to anywhere. But, frankly, I’ve never even thought about it. Other answers include Ilya revealing he hasn’t played his “immortal” game yet (phew! ), and doesn’t have a girlfriend. All in all, he comes across as an absolutely normal 14-year-old boy, and not the worldly-wise negotiator he’d been made to appear in the apparently fabricated story. Thanks again for this wonderful coverage! Personally I was missing Karjakin more than Topalov (or Ivanchuk), basically because the last two already got plenty of invitations. So I would have expected Vasiliev to also ask about Karjakin. Instead, in the part of the interview which you didn’t translate [no problem at all, you did once again a great job and had to be selective] he asks about Radjabov, Mamedyarov and Gashimov “who have many supporters on Chesspro”. (van den Berg’s answer was straightforward: Radjabov and Mamedyarov were invited in the past, Gashimov was considered this time but finally they preferred others, there was no “discrimination”). 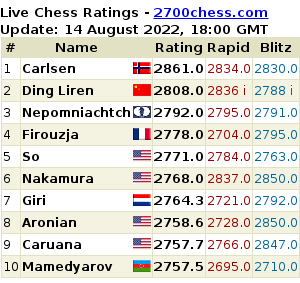 My questions: Do the Azeris really have many more fans on Chesspro than Karjakin, or at least “louder” ones? Or maybe the reason(s) for Karjakin’s absence are well-known in Russian chess circles, but not in the western world? I haven’t really been following it, but I think Karjakin’s perfectly popular – it’s probably just that there wasn’t a single Azeri player while there were actually a few Russians this time (Shipov’s often mentioned the Wijk organisers aren’t that keen on Russian players). In case you want to hunt around… the Wijk thread at ChessPro is here: http://chesspro.ru/guestnew/looknullmessage/?themeid=16&id=281&page=0 (I see at the start someone mentioning Nepo’s in place of Karjakin, and someone else regretting Karjakin’s absence). 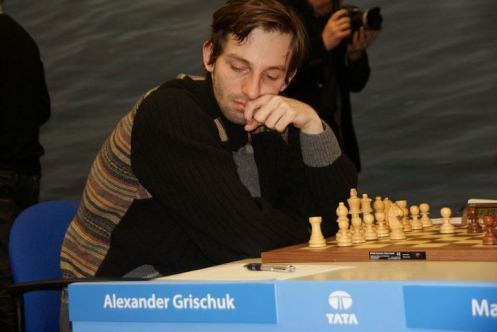 Do you maybe hava all PGN from TATA Steel 2011 with english translation of Shipov’s analysis? Not yet, but I’m planning to do that in the next couple of days – the Ivanchuk interview took longer than expected! I’ll post something as soon as it’s ready.